The system consists of 2 separate parts. One part is integrated into the VIGO6 environment and the other part (independent) program used to translate the 'extracted' texts. 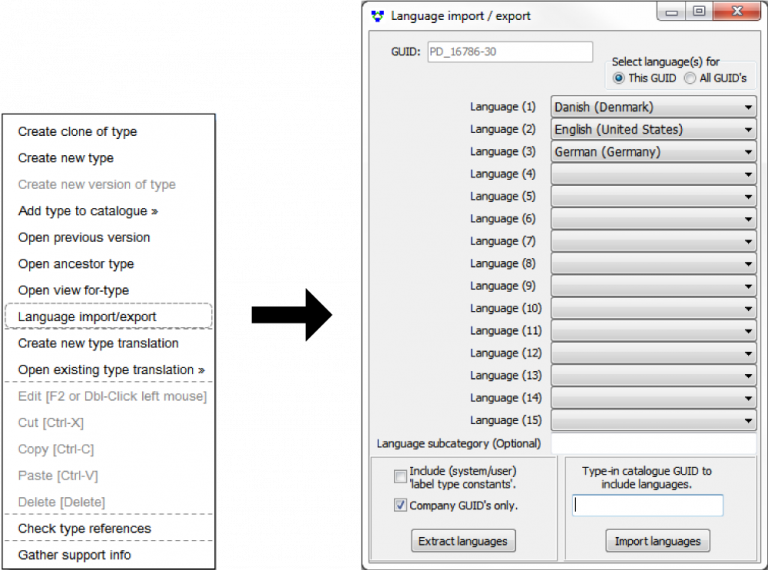 1: Select the visualization GUID for which you want to create translations. 2: Choose translation languages (up to 15 different), for which translations are about to be made. 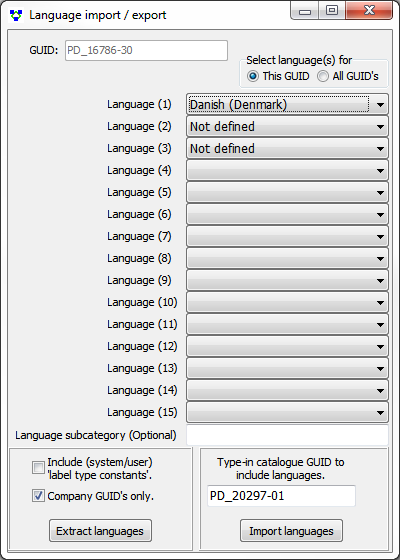 If many different views is to be translated to the same languages, please select “Select language(s) for”: All GUID’s. 3: Click on "Extract languages" and wait until VIGO6 has completed the extraction. 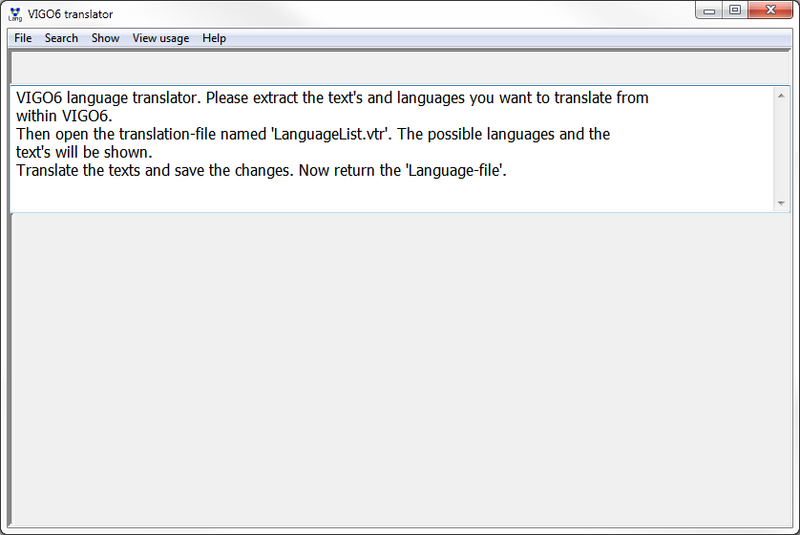 At the end of the extraction, the user is to select where to put the language file ("LanguageList.vtr"). Default is “Documents\LanguageList.vtr”. This file is now ready to be sent to the person/persons who will translate the texts, along with the translator program. 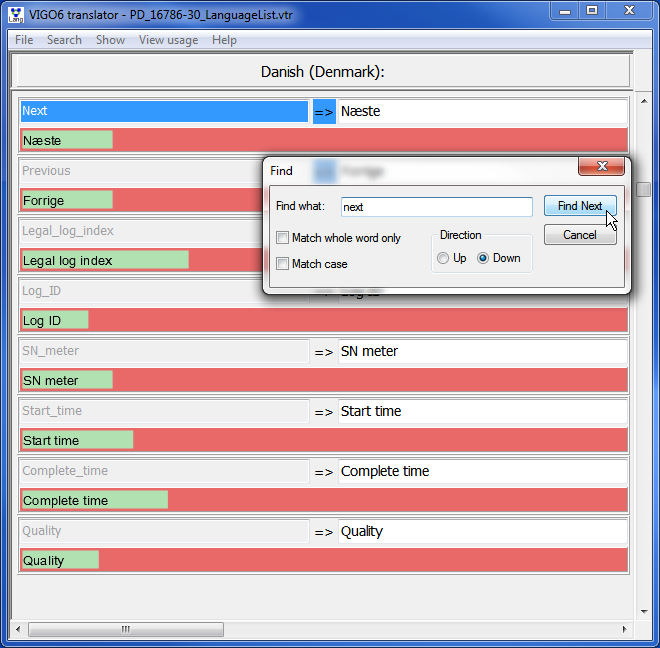 4: Start the VIGO6 translator program and open the translation file. 5: Begin translating the texts. When a text is changed, its background changes to light blue. 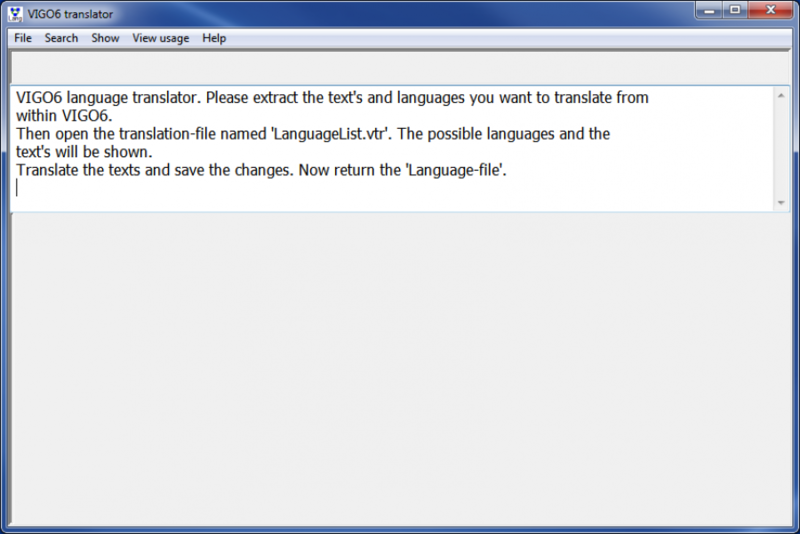 It’s possible to search for a text within the translation-file. The line with the searched text will be shown as the first in the editor window (and marked blue/white, as shown underneath). Though, if there are fewer lines ‘after’ the found line, this cannot be shown as the first line. You may need to scroll through the different languages to find the text, you searched for. 6: When editing is completed (and of course, along the way), the changes are saved in the same or another file! 7: Importing the texts takes place via the same dialog as export. Type in the GUID of the catalogue, which you would like to hold the translation. 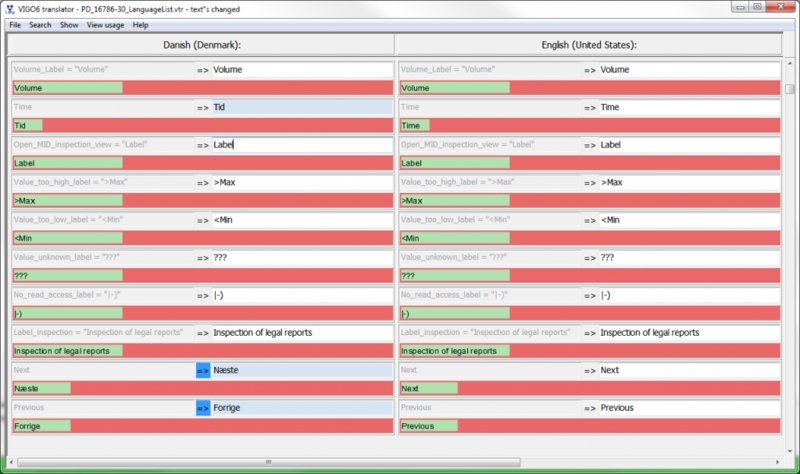 When "import languages" is pressed, you are prompted to find the visualization GUID that was exported from. Translations have now been loaded into your catalogue. Next time the program, which hold the visulisation, is builded, you can see it including you're translations.